Mitigating Online Reputation Risk...Know Your Intangibles! Reputation risk. Mitigating Online Reputation Risk…Know Your Intangibles! It is a persistent challenge for businesses to…safeguard – sustain an affirmative online reputation and mitigate – defeat – recoup from the materialization of risks which, with increasing frequency, involve non-human (bot) manipulation of technology programs, systems, and algorithms intended to undermine a businesses authenticity, reality, and trust. creating fake – false – misleading metrics from which to exploit and/or undermine competitive advantages to be deployed – repositioned elsewhere for adversaries’ advantage. Therefore, a sustained practice of online business reputation oversight…and defeating – mitigating (online) risks posed by non-human adversaries must, in part, rely on – fall to enabling more enlightened consumers, customers, and clients’ (ability – inclination) to determine (a.) what is true and real, and (b.) what can be trusted as true and real. The asymmetric dimensions of online data and competitive advantage – distinguishing messaging, manipulation, and fakery…are insidiously at work…affecting higher percentages of business vulnerabilities which influence reputation risk(s) to materialize and cascade throughout an enterprise. I suspect, some readers (businesses) may not immediately recognize distinctions between a and b above. However, when a and b are viewed through the lens of businesses which are (substantially, wholly) dependent on the intangible (asset) of reputation to attract – secure prospective, new, and repeat consumers, customers, and client’s, i.e., (c.) trust in their products and/or services, (d.) truth in a business’s claims, and (e.) ensuring the competitive distinctions are clear, authentic, and valid. As readers of this blog know well…distinguishing ‘truth and reality’ online are increasingly vulnerable to manipulation and some have achieved a level of sophistication to render authenticity and reality indistinguishable from anything less than authentic or real. This means, internet non-human adversaries can, and not in frequently do, become an internet user’s reality, i.e., content – video is in-perceivable from fake, true and real. So, many aspects of a business’s reputation…which have previously been assumed and granted, largely without question, insofar as authentic and truthful, by first time, repeat, or prospective customers; unfortunately, those perspective have variously reversed. Conceivably, the new onus is on business management teams…to assume the inclination to acquire and sustain the ability to re-build when-where necessary, the requisite states of online reality, authenticity, and truthfulness in a manner that differentiates, attracts, and sustains current and prospective customers, clients, and consumers, which growing percentages, unfortunately, have reason to now doubt. What has variously disappeared or, at least…been a factor in contributing to diminishing a business’s online truth, trust, and authenticity is comparable to the human inclination to seek (online news) sources most agreeable with their social-political predilections. Less arguably…when truth, trust, and authenticity diminishes online, it can rapidly converge as the ‘quicksand’ for materialization of reputation risks to emerge. The global technology adversaries to…truthfulness and reality, and fakery, with confidence, know precisely how, when, and where ‘fake’, i.e., online circumstances, platforms, and venues in which untruthfulness, untrustworthiness, and inauthenticity will fit – work best, and absent any presumptive necessity for fact checking. These technological non-human adversaries…whether state sponsored or independent (contracted) operations, produce and unleash manipulated realities which affect other’s (individual, business) online presence. I started the ‘Business Intangible Asset Blog’ in May 2006…then, Google Analytics were at version 1.0 and could be tracked rather easily. By early 2007 through 2015, with years of consistent research and publishing blog relevant and authentic posts, according to Google Analytics, my posts were being routinely read in 137+ countries with a high percentage of posts consistently landing-appearing on page one of Google within 18 to 30 hours of ‘pushing the publish button’. What’s more, a periodic Google search…conducted during this eight year period using the search term ‘intangible assets’; I would find multiple of my posts on page one of Google! Those data points, albeit, technological generations ago, were impressive and much coveted metrics for any blogsite. Moving technological generations forward…those once impressive and coveted metrics have moderated substantially, even though researching, writing, and publishing posts remain largely the same with 800+ posts regarding all things intangible. To be sure, events which have occurred – evolved since…noticeably commencing on or about 2011, including two very aggressive ‘bouts with foreign bots’, those coveted – impressive metrics have become increasingly challenging to replicate. 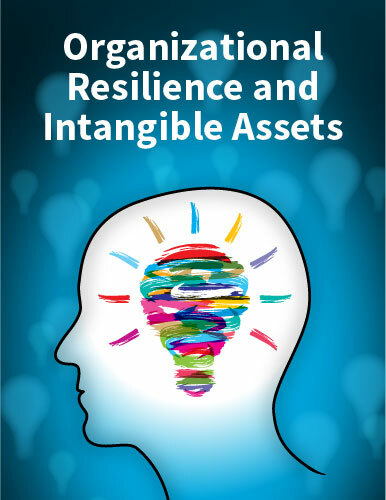 Michael D. Moberly January 14, 2019 m.moberly@kpstrat.com St. Louis ‘Business Intangible Asset Blog’ since May 2006, 600+ blog posts published, a blog dedicated to all things intangible where ‘business realities, intangible assets, and solutions converge’. Reputation risk, avoid having a response translate as a cover-up!